Arthur’s Jewelers offers several payment options for our customers. Among those are wire transfer, personal check, Paypal, certified check or money order, as well as all major credit cards and financing with approved credit. We accept Visa, MasterCard, American Express, and Discover. Credit card orders can be placed online using our secure server or over the phone with our customer service department. Credit card orders will only be shipped to an address on file with the credit card company. For security purposes, Arthur’s Jewelers may request additional documentation (such as drivers license, photocopy of credit card, etc) on some transactions. Many customers purchasing items valued over $1,000 prefer paying by wire transfer. Wire transfer orders receive a 1.5% discount from our listed price. Customers paying by wire will receive wiring instructions once they have completed the check-out process. We must receive confirmation from our bank that a wire transfer has been completed before items can be shipped. At our sole discretion, we may require bank wire payment for any international order or orders in excess of $20,000. When paying by personal check, certified check or money order, Arthur’s Jewelers reserves the right to deposit and hold each payment for up to ten business days. All check payments that are not received within one week of when the order was placed will be cancelled. Each personal check and/or certified check must be drawn from a US bank account. Personal checks must also have the customer's name and address imprinted on the front of the check. Customers paying by check will receive mailing instructions once they have completed the check-out process. Arthur’s Jewelers has teamed up with Wells Fargo to offer special financing promotions to our customers as well as the opportunity to apply for credit on line. We offer multiple financing options through Wells Fargo. For a quick credit decision, simply click on the link below to apply. Financing is subject to credit approval. *The Wells Fargo Jewelry Advantage® credit card is issued by Wells Fargo Bank, N.A. Special terms apply to qualifying purchases of $480 or more charged with approved credit. Minimum monthly payments are required during the promotional (special terms) period. Interest will be charged to your account from the purchase date at the APR for Purchases if the purchase balance is not paid in full within the promotional period. Paying only the minimum monthly payment will not pay off the purchase balance before the end of the promotional period. For new accounts, the APR for Purchases is 28.99%. If you are charged interest in any billing cycle, the minimum interest charge will be $1.00. This information is accurate as of 09/01/2018 and is subject to change. For current information, call us at 1-800-431-5921. Offer expires 12/31/2018. 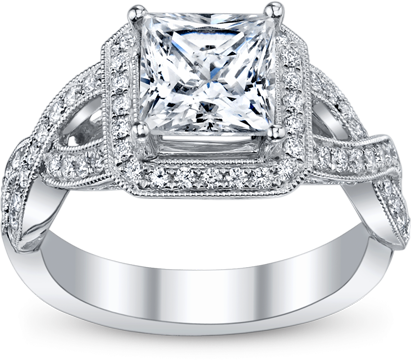 **The Wells Fargo Jewelry Advantage® credit card is issued by Wells Fargo Bank, N.A. Special terms apply to qualifying purchases charged with approved credit. The special terms APR of 9.99% will apply to the qualifying purchase, and 60 monthly payments equal to 2.1465% of the original special terms balance are required. The advertised terms are an estimate assuming required monthly payments are made on the payment due date; no other balances are currently carried or will be carried on the account; and no additional charges are or will be added to the account. Because your actual account activity may be different than the assumptions used, or because of rounding, the number of payments or the final payment amount could be different than the advertised terms. The special terms APR will continue to apply until all qualifying purchases are paid in full. The APR for Purchases will apply to certain fees such as a late payment fee or if you use the card for other transactions. For new accounts, the APR for Purchases is 28.99%. If you are charged interest in any billing cycle, the minimum interest charge will be $1.00. This information is accurate as of 09/01/2018 and is subject to change. For current information, call us at 1-800-431-5921. Offer expires12/31/2018.